We were blessed to see Trae play in OKC against the Thunder. Oh, it didn’t go the way we would have liked it, but we got to see Trae for a bit after the game. Just getting to see him and share with him how much we love him was great. We got to visit with others as well including Coach Pierce. All in all it was a good time. What we did get was some good family time. Vicki’s parents, her brothers, sister along with Joshua, Danielle, Harper, Sutton, Chasity and Amayah were there. With Candice and her bunch there was a total of 19. It was a good time. We truly enjoyed the time we had together. The only thing that would have made it better is if we would have had the other 9 there with us, but their schedules and location didn’t allow it. Regardless of miles that separate us, we are still family. The kids and grandkids just can’t get away from the fact that they are a part of the Nachtigall family. No matter where they may be they are a part of this family. As I was thinking about this, I considered the church and how we factor in the number in the church. Oh, it is always nice to see big crowds come in for the Sunday services. I just love it when we see the pews filled with people. The question that I have asked myself – “Is this the church?” Some people will attend different locations for services on Sunday. Some have large numbers while others only have a few. But regardless of how many may be at a building that is not the church. As I thought about that I realized that we often put numbers on people and call it the church. Not sure that is what Christ intended. I believe it goes deeper than that. 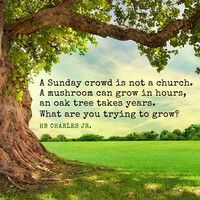 I believe the church grows when one enters into a personal relationship with our Savior, Jesus Christ. I look around and find that the church is made up of those who have trusted Christ as their Savior. It doesn’t matter what we may call the body where we attend. The body that reaches out to and calls on Christ is a part of the church. While we may find ourselves focusing on numbers, God is focusing on hearts. His desire is for people to set their hearts right with Him and be saved. He wants them to not only believe in Him, but to grow in their relationship with Him. The church is not going to just be those that gather in a sanctuary on Sunday, but all those who have come to a saving knowledge of Jesus in their lives. We may go to the church building to meet, but that doesn’t make us the church. We become a part of the body of Christ, the church, as we enter into that personal relationship with Jesus by calling on the name of Jesus to save our souls. 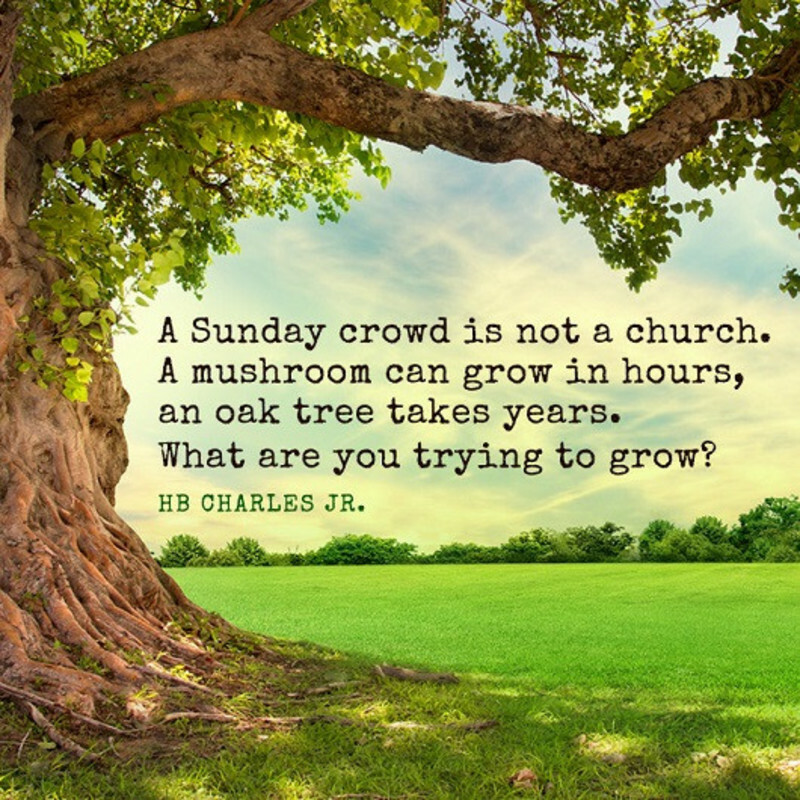 So – What are you trying to grow?